Take your 6 and 7 irons – hold them together, making the best possible grip that you can to ensure that you don’t let go of them. Hover the clubs away from the ground to ensure that they don’t hit the floor and bang together. 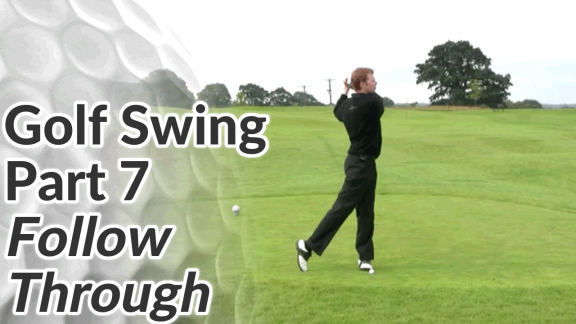 Swing the clubs gently to start with but also try to make a full and normal follow through. The weight of the clubs will pull your body around to a correct and hopefully balanced follow through position.